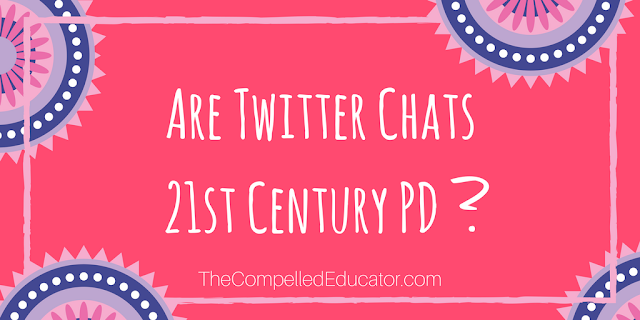 The Compelled Educator: Are twitter chats 21st century PD? When we get our teacher or administrative certification, it doesn't mean it's time to stop learning. In fact, for most educators it indicates that the learning has just begun. In a school - a teaching and learning organization - having educators who pursue learning is vital. When teachers and leaders actively seek out learning opportunities and apply what they learn about the most up-to-date strategies and information, the result is meaningful change and growth in the organization. 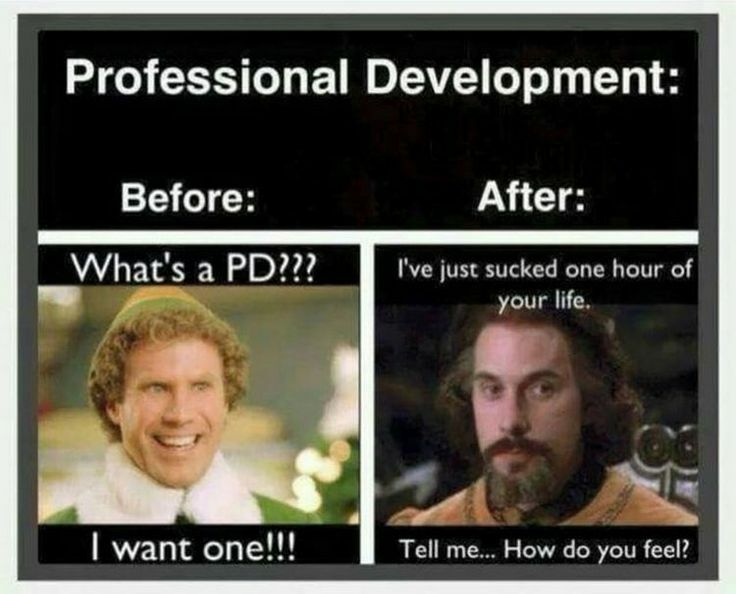 Traditional, face-to-face professional development sessions can get a bad rap. To be honest, I've been to my share of sit-and-get PD that lacked creativity as well as any opportunity for participants to collaborate with each other. In fact, over my many years as an educator I'm sad to say I've attended PD/trainings where the speaker talked the entire time with little interaction with participants. Can you relate? Because of these experiences, I have been very intentional in planning PD sessions at our school so that they are engaging, interactive, and informative. Last week, many of our teachers attended a workshop I led during the school day (they attended during one of their off periods) where the focus was on writing as a literacy and learning strategy. Teachers wore their "student hats" for most of the period, then they put on their "teacher hats" as we debriefed after the lesson. By the end of the lesson, they had done 5 writing activities and collaborated with their tablemates. This was no "sit and get" session, and the next day, several teachers implemented strategies they had learned from the workshop. Twitter chats are interactive, engaging, learning opportunities for teachers and leaders. In one hour, many voices are heard. Opinions, ideas, and links to other research and information are often shared as well as practical ideas. When you're a practitioner, it's very valuable when you can read/see what other educators are doing in different schools. Participate does a great job curating the chats. 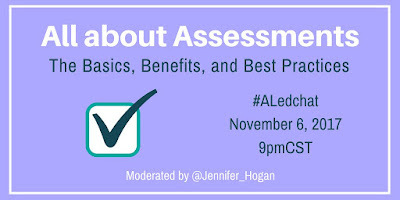 (Click HERE to read the transcript of the recent chat, "All about assessments.") Since we have the ability to archive a chat, the chat becomes a "rewindable lesson" where questions and answers can be re-read and reflected on. 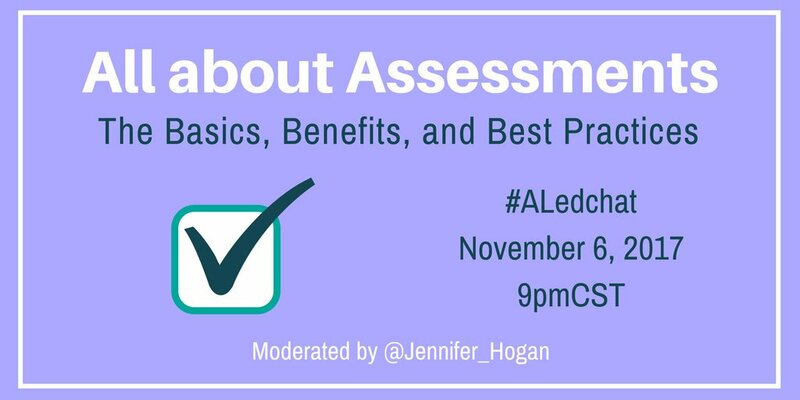 Isn't it time teachers are rewarded with professional development credit when they participate in twitter chats? There are still many districts and schools (and leaders in them) who don't participate in twitter chats or even understand the learning opportunities that are available on twitter every. single. day. No... it's no "face to face" meeting with a neatly printed certificate at the end of the session, but I am a firm believer that sometimes much more professional learning is happening on twitter than in a PD room. I would love to hear your thoughts. Please leave me a comment below or reach out to me on twitter. 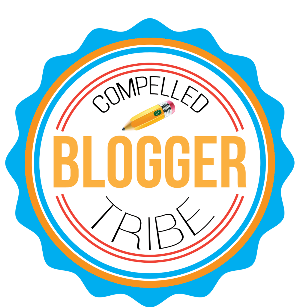 I actually commented about this at an Edcamp this weekend. In this day and age, twitter chats are PD but it's not just about the PD credit. It's about the support, voice to be heard, and collaboration that follows. I don't tweet for the credit as in PD, I tweet when I am passionate about something and want to get it out there. What a great topic! Hi, Elyse. Thanks for reading and commenting. I agree that it shouldn't be about the PD credit, but about the learning that happens in the virtual space. It's a new concept for many who make the final decision about whether or not it "qualifies" for PD credit, so I think we need to continue to help them understand the value. 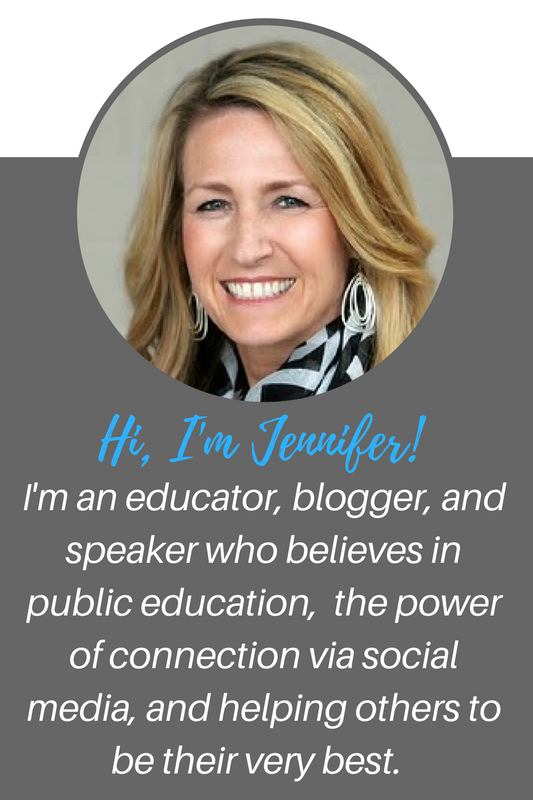 I love the idea of getting "credit" for all the professional learning we do via social media! My friends on Twitter and Voxer teach me more than any course ever did! Hi, Allyson. Since becoming a connected educator, I've read more, discussed more, reflected more... LEARNED more than ever before. It's an awesome tool! My district offers local professional learning credit for Twitter chats. That's awesome news, Lesa! Our school does, too. I just wish more teachers would take advantage of the opportunity. Thanks for reading and commenting, Duncan. Sounds like an awesome opportunity you have to use your twitter dialogue as evidence. Keep tweeting! Great post, Jennifer, and I couldn't agree more. 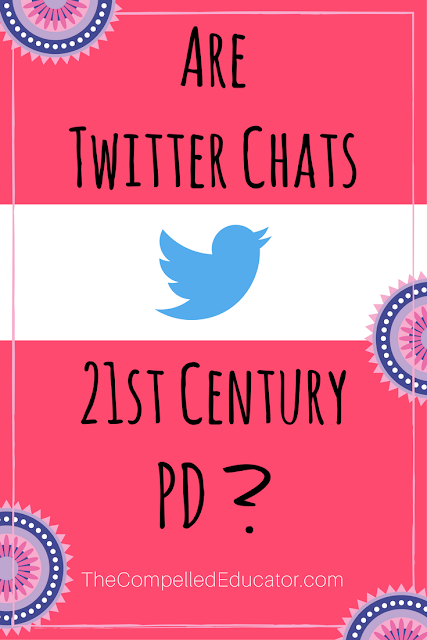 However, I believe Twitter chats can be embedded in a larger learning journey that can truly empower every educator to begin redefining the letters PD. 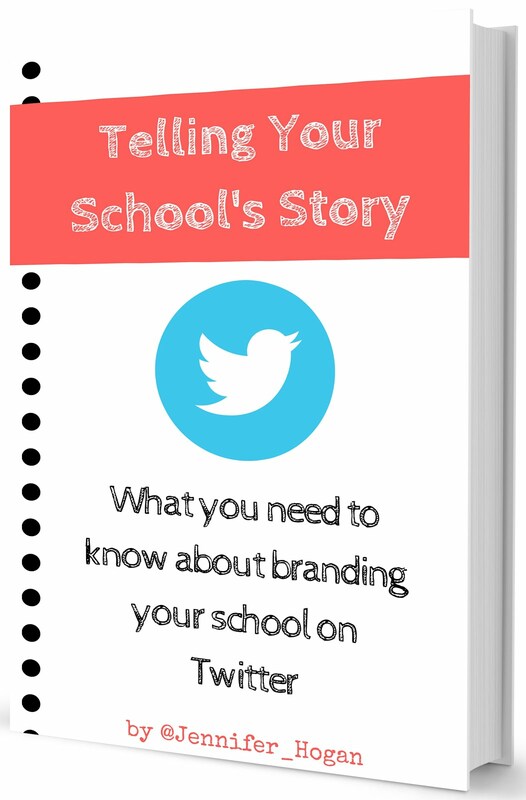 I've recently published a book, and based on ideas you presented here, I think it's something you may be interested in, because whether it's a Twitter chat, EdCamp, book study, etc. we can't have these learning experiences be one-and-done. They are only fragments of a bigger learning journey of every Professionally Driven educator. You can find my book on Amazon (bit.ly/ProDriven) or more info at my website -> professionallydriven.com.